No officer, I was not moving: He backed into me, I swear! This must be tinfoil. 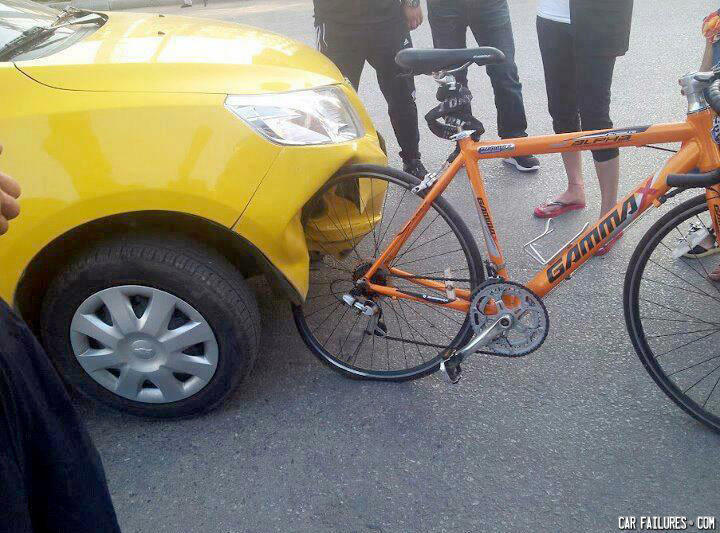 There is more damage on the car than on the bike!